Porsche invited women interested in both vacation and speed to Istanbul Park raceway for a quick holiday. Simultaneously with the print ad, direct marketing campaign was taking place, where a pair of leather gloves was sent to potential clients as a holiday invitation. Headline: Sun catches you fast in Istanbul. 250 km/h. Bodycopy: Spend a quick holiday in Istanbul Park raceway. Porsche exclusive race event offers You more than 25 best equipped and capable Porsche sports cars and professional driving instructors. 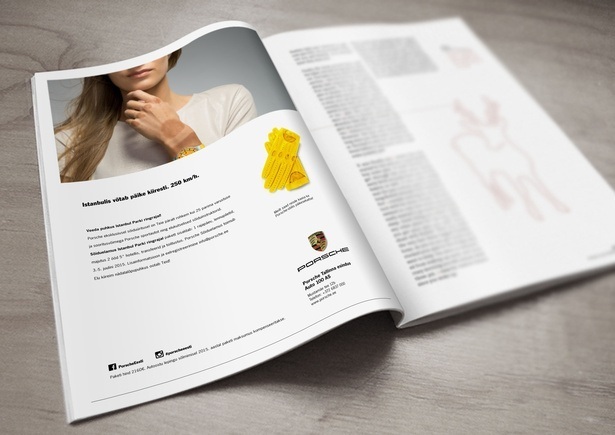 Letter with the gloves: Our holiday gift to You – sun protection Porsche style!